sick leave, and paid time off (PTO). 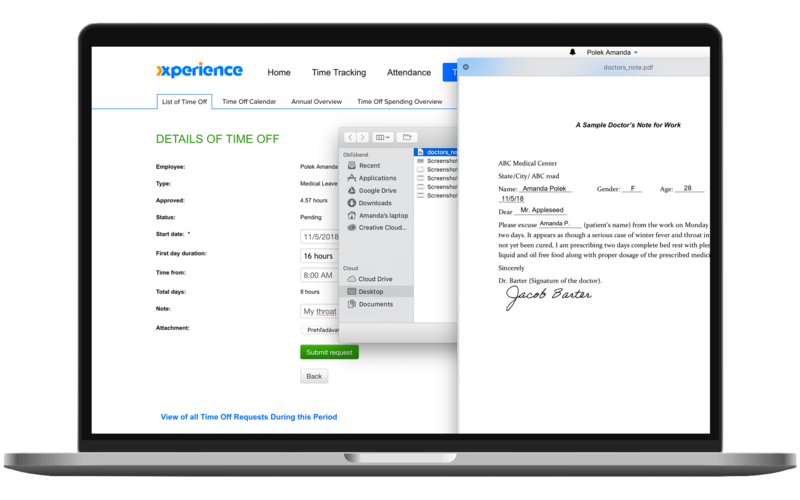 XperienceHR comes with a Paid Time Off (PTO) management feature fully integrated with employee time tracking. Reporting both in a single report gives better insight into employee’s monthly performance. This intuitive employee self-service tool reduces labor costs related to payroll preparation. 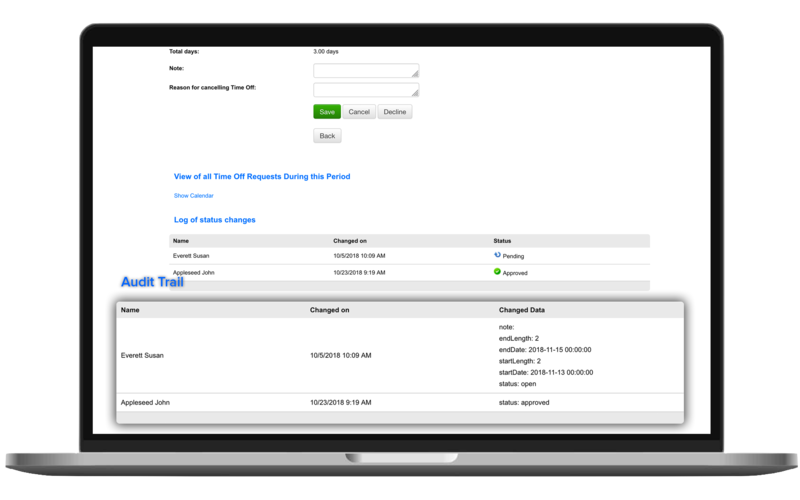 Each PTO request is recorded with a timestamp and each approval, cancelation or modification is recorded with the person’s name to create a reliable audit trail. Each request sends out a notification email for a manager to approve or decline. The approved employee time off information is then shared within the team, department or the whole company. 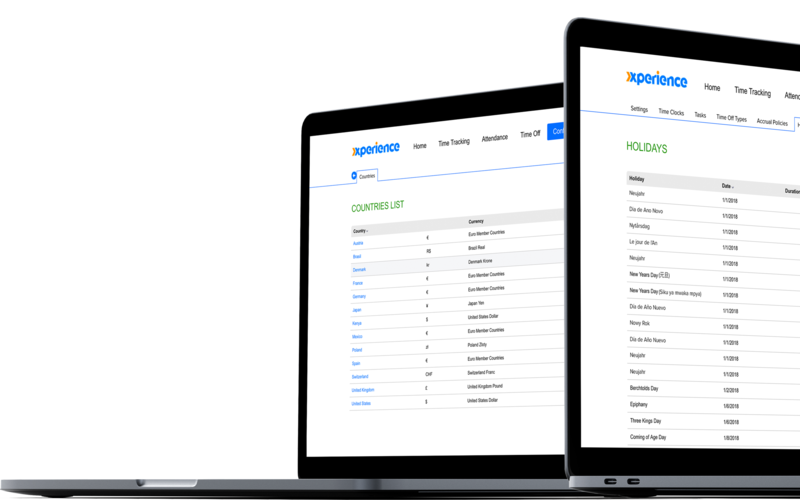 XperienceHR uses the audit trail and managers’ notifications to eliminate possible fraud situations and increase the policy compliance. The Time Off feature is the most customizable feature within XperienceHR. A company can set its own type of time off, assign company-wide or individual balances and if needed, the exceptions. Employees have the up-to-date information on their PTO bank balance. 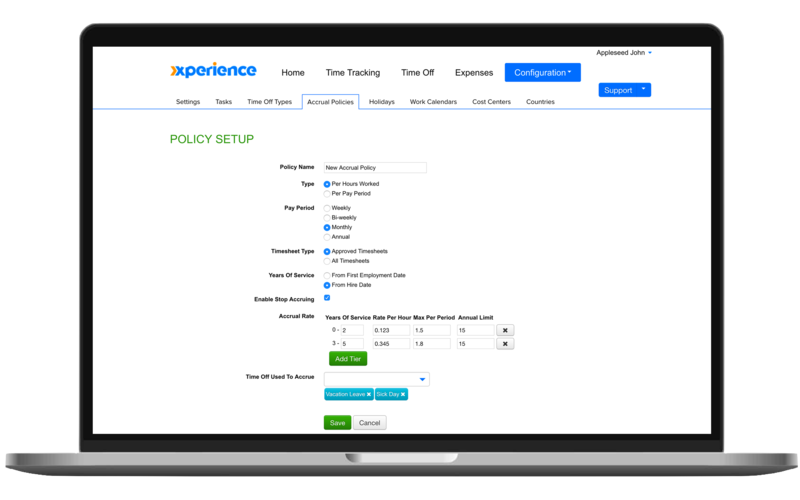 XperienceHR supports vacation carry over with the possibility to mirror the carryover policy into the software to include carryover time limits and vacation capping. Define your PTO Accrual policies for your employees to accrue vacation and other types of PTO. Fully customizable module lets you select accrual based on hours worked or based on pay period. Define accrual rates to reflect employee’s seniority translated into years of service. Choose an option to accrue vacation also during a period when the time off is taken. Accrual reports give you the historical overview of how the days were accrued. XperienceHR maintains an up-to-date US federal holiday calendar. 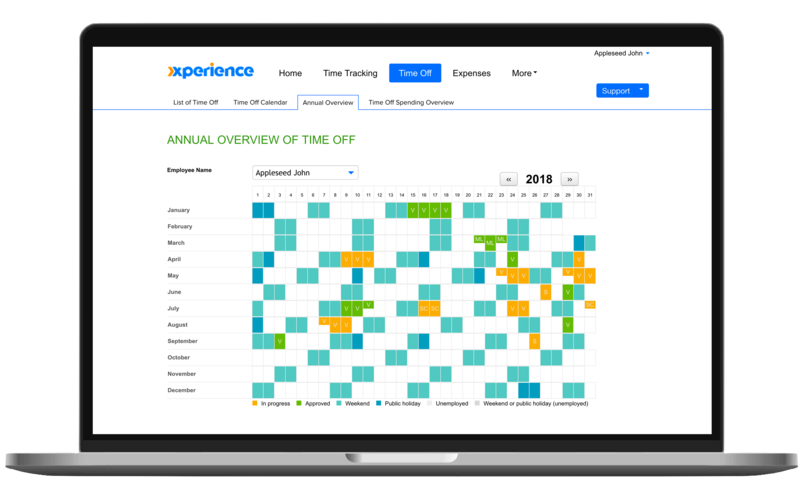 If a request for time off happens to overlap a holiday, XperienceHR automatically counts the number of working days. Time Off Management feature was built to support public holidays of multiple countries within one company account, making XperienceHR a great tool for enterprises with mixed global teams or departments. The biggest benefit from using the Time Off management feature goes to the payroll department. Having this transparent online tool at your fingertips can save a lot of hours. Providing employee service and answering Time Off related questions is no longer a time consuming procedure. Users with a HR role have access to the excel payroll, absence and absence spending reports. 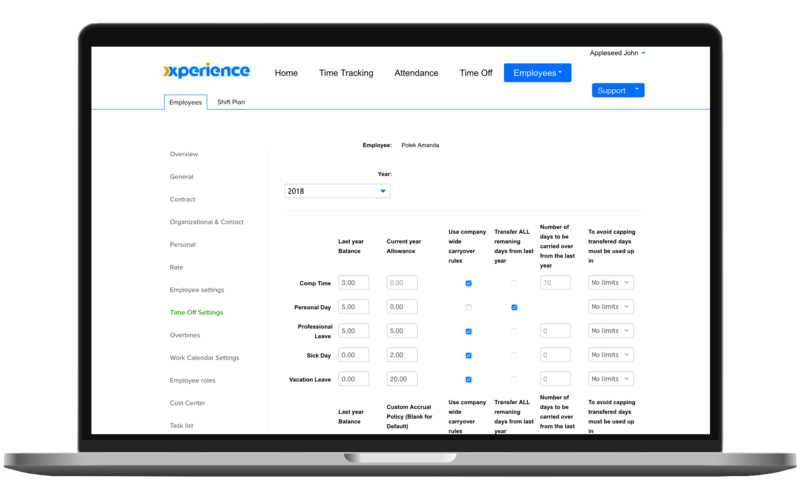 Three very useful XperienceHR tools in HR’s hands are employee yearly overview, time off spending overview and company time calendar. Payroll work can be enjoyable! Ready to give it a try? Get started today!